The IHRA Summit Sportsman National Championship series will open the season at Ralph Hester’s Immokalee Regional Raceway on the first weekend of February. The Summit Sportsman National Championship series gets underway in sunny Florida Feb. 3-5. For the past 15 years, the Immokalee event has been the traditional kick-off for the new IHRA season. The track is located southeast of Ft. Myers and has historically enjoyed great weather during the month of February. Ralph, Thomas and crew always do a great job hosting this event and go above and beyond to make racers feel welcome regardless of where they call home. It is not uncommon for competitors to think they came to a party, and a race broke out. Ralph and Thomas can be seen cooking at the racer’s appreciation BBQ or driving through the pits with their small block Chevy powered ice cream machine handing out ice cream. The Summit Sportsman National Championship season opener will feature two races in one weekend with Saturday and Sunday elimination rounds being broadcast live on a soon to be announced major sports content provider. Live Stream links will be on the ihra.com homepage for easy access to the broadcast for the double weekend Summit Sportsman National Championship events this season. The gates will open at 10 a.m. Friday for parking, tech will open at 2 p.m. and close at 8 p.m. A Saturday test and tune session is set for 5 p.m. until 10 p.m. The gates and tech open at 8 a.m. Saturday with qualifying starting at 9 a.m., and eliminations will begin after the completion of the second qualifying session. After the completion of the event Saturday night, Ralph will once again host a racer party for all participants. The gates and tech open at 8 a.m. Sunday; the God Speed Chapel service begins at 8:15 a.m. The Sunday qualifying session starts at 9 a.m. with eliminations beginning immediately after qualifying. A complete schedule of events for the Summit Sportsman National Championship at Immokalee is HERE. The following weekend, Feb. 10-12, the tour moves just up the road to Palm Beach International Raceway for the second weekend of double-race weekends. PBIR will be open for parking for those competitors that need a place to call home between weekends; activities for racers and their families are being planned for those who will be on site at PBIR between events. A complete schedule of events for PBIR can be found HERE. 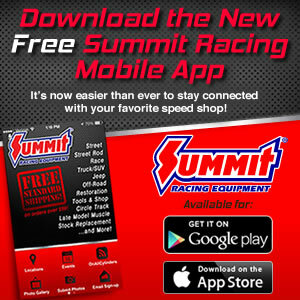 Summit Sportsman National Championship Information including points structure and event details can be found HERE. A racer appreciation banquet will be held to honor those 30 top-five finishers in points and to show appreciation for our racers that call PBIR their home track. All catering will be prepared by PBIR’s Executive Sous Chef, Andrew Galbreath, who prepares dinner for weekly Palm Beach Driving Club track nights and all top tier road course events. There will be adult beverages and other festivities included. Admission to the banquet will be free of charge for all racers and those who wish to attend must RSVP via email sent to jstout@racepbir.com by 5 PM Thursday, February 2, 2017. Limited seating is available. Those who attend must be IHRA members and if anyone not currently a member would like to attend, Bobby Carville, Membership Coordinator for the IHRA, will be available on site for anyone who would like to sign up.